With uncertainties clouding the broader markets, these smart money stocks are brilliant contrarian opportunities. With a quarter of 2018 in the books, I think it’s safe to make a pronouncement: the markets are disappointing. Yes, the year is still young, but despite mainstream pundits encouraging us to keep holding, the major indices are struggling. That said, I think this is a great time to consider so-called smart money stocks to buy. Let’s start with some basic groundwork. By smart money stocks, I’m referring to quality companies that have fallen into rough circumstances. Right now, this describes pretty much everyone. A tense environment surrounds Wall Street as investors digest recent geopolitical news. Primarily, the markets are analyzing the top two economic powers’ trading dispute, but other issues abound. Top on the list is the Trump administration imposing new sanctions on Russia. Although the Russian markets were rocked on the announcement, you never know what tricks the Kremlin might play. With Russia threating us in our military campaign in Syria, things could get uglier before they get better. Hence, I’m not surprised that investors are running for the exits. However, I also believe this is a reactionary move. In times of trouble, smart money stocks have proven to be the best long-term play. After all, who wouldn’t want to go back in time to the 2008 financial crisis and pick up blue-chip companies by the boatload? The current market weakness is a chance to do exactly that. Here are 10 smart money stocks to follow through any selloff! Far be it from me to side with an overpaid corporate executive. That said, I firmly believe that the Congressional hearing against Facebook Inc (NASDAQ:FB) is nothing more than a witch-hunt. On a year-to-date basis, FB stock is down more than 6%. From its high for this year, the social media giant lost nearly 15%. The question, of course, is why? Offended Facebook users will claim that the company violated their privacy. I agree that FB is guilty as charged. FB naively allowed a market research firm to inappropriately hold — and later sell — user data to another research firm. Again, it’s not kosher behavior. But, is it worth a groundbreaking company like Facebook losing so much in the markets? I think not. For one thing, these kinds of shenanigans occur all the time. Because they occur so frequently, you have to be responsible for your own internet safety. Furthermore, with hacking and identity theft imposing constant worries, you need to be careful what you broadcast to the world. Please don’t get me wrong, I’m not victim-blaming. At the same time, we shouldn’t pitchfork Facebook for something that’s relatively mundane. The markets are overreacting. Put FB on your smart money stocks to buy list and talk to me next year. It’s hard to call a company that’s up nearly 22% for the year a discounted opportunity. 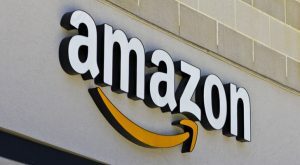 Yet, that’s the position Amazon.com, Inc. (NASDAQ:AMZN) finds itself in now. Since the close of March 12, when AMZN crossed the $1,600 barrier on an intra-day basis, the vaunted e-commerce giant has slipped almost 11%. Critics contend that AMZN has gone up too far, too fast. On surface level, it’s not an invalid argument. A little less than a year ago, the company celebrated hitting $1,000 for the first time in its history. I remember that time distinctly because I was still bullish on Amazon. Of course, I worried about the psychological challenges native to a four-digit share price. For quite a while, AMZN entered into a frustrating, sideways consolidation phase. But, in late October of last year, it resoundingly shot back into $1,000 territory. Better yet, the bulls never looked back. I can go all day explaining why I love Amazon. It’s a disruptor in every sense of the word. Management fights today with the same aggression that originally put them on the map. They’re also constantly moving into lucrative markets, and doing so successfully. But for me, it comes down to the fact that e-commerce is the present and the future. No other name is so dominant in this sector. Should AMZN continue to sell off, buy the pain. In a few years, you’ll be very glad you did! 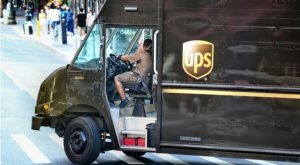 Speaking of being disrupted by Amazon, we have United Parcel Service, Inc. (NYSE:UPS). After years of relatively consistent market growth, UPS stock hit a giant wall so far in 2018. With three-and-a-half months in the books, the courier service finds itself down 11%. What happened? Earlier this year, Amazon announced that it will begin testing its own delivery service called “Shipping with Amazon.” The company is currently exploring ways to expedite products from seller to a fulfillment center. Should initial tests prove successful, it’s not hard to imagine that Amazon will take over the entire distribution process. Obviously, that spells bad news for UPS and rival FedEx Corporation (NYSE:FDX). Both firms have benefitted substantially as e-commerce takes over the retailing landscape. Thus, I understand why UPS stock softened on the news, and why concerns still linger. However, I think the bearishness is overplayed. While Amazon could theoretically replace UPS and similar services, it would be a massive undertaking. The longer-term benefit for AMZN in terms of reducing shipping costs could be outweighed due to the onerous investment. From an economies of scale perspective, it may make sense for Amazon to continue utilizing UPS. Also note that big-box retailers, such as Walmart Inc (NYSE:WMT) and Target Corporation (NYSE:TGT), have developed their own ship-from-store programs. That will provide UPS with several growth opportunities, in addition to thousands of smaller businesses. 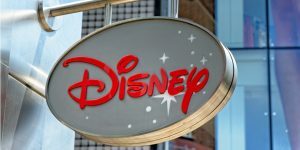 Although the “Magic Kingdom” is associated with happy feelings, Walt Disney Co (NYSE:DIS) investors haven’t had much to smile about. On a YTD basis, DIS stock is down 7.5%. In fact, for most of this year, Disney shares have resembled some of their theme-park rides. I can understand why many investors are hesitant with DIS. The entertainment landscape is constantly changing, forcing traditional media to make sometimes painful adjustments. Also, the theme park and resort business aren’t guaranteed winners, as declining total revenues demonstrate. With that said, when you drill down into the details, you can find strong positives. One of them is the Asia-Pacific market, where the company is experiencing significant growth. It’s no coincidence that DIS is courting Asian consumers, especially with their diverse casting choices in marquee films. But, where I really think Disney wins is their recently acquired Star Wars franchise. Although the last installment in the revered series was panned by audiences, it nonetheless set box office records. I’m not sure how next month’s “Solo: A Star Wars Story” will play out. But, from what I’ve witnessed, even if the movie bombs, people will still flock to the theatres. In a day and age when Hollywood almost has to beg people to fill the seats, DIS is an anomaly. That’s something you should keep in mind when considering smart money stocks to buy. With the advent of the internet and the information age, consumer trends can change in a hurry. The Coca-Cola Co (NYSE:KO) knows this all too well. Despite it being an icon of American capitalism, KO hasn’t always lived up to expectations over the past few years. Unfortunately, 2018 is no exception. On a YTD basis, KO stock is down more than 3%, and is nearly 9% off from January’s high. Overall, Coca-Cola, along with rival PepsiCo, Inc. (NASDAQ:PEP), cannot generate traction. However, I believe this frustration will be a short-lived phase. First, as our own Laura Hoy points out, 94% of the world population recognizes the Coca-Cola logo. That magnitude of dominance is not something that you dismiss offhand. Second, we should recognize that while KO is primarily a soda company, it has a broad product portfolio. From sports beverages to fruit drinks to plain old water, KO has it all. You could be drinking a Coca-Cola product and not even know it! Moreover, the beverage-maker isn’t giving up on its core product. Recently, KO revamped its Diet Coke brand, featuring a tall, lithe can accentuated with brighter colors. This is in line with contemporary beverage design, and it should gain increased popularity. Plus, this is Coca-Cola: it’s too ingrained in our culture to even consider failing! Whenever the markets experience a rough patch, the best smart money stocks to buy are strong, secular organizations. At this moment, Lowe’s Companies, Inc. (NYSE:LOW) fits the bill perfectly. LOW stock is down 6% YTD, while against its closing high for this year, it’s dropped a whopping 19%. However, this steep selloff is irrational. I get that people are worried about rising interest rates, which dampens new home buying sentiment. I also understand that this economic recovery isn’t the most ideal. If our relations with China worsen, several industries face significant risks. Plus, we have an indelicate administration, a President who shoots firsts and asks questions later. But, we should consider the positives as well. In several key markets, real estate prices are soaring. That incentives renovation-related sales, which boosts home values, and by logical deduction, LOW stock. Plus, whether or not the economy is rocking and rolling, people still have to fix stuff. At the very least, LOW is recession-resistant. Finally, I love the company’s fiscal discipline. Revenue has steadily increased in the past few years, while total operating expenses are rising within reason. As a result, operating margins have consecutively improved since at least four years ago. Finally, management isn’t burning cash wildly to maintain growth, which bodes well for longer-term stability. I don’t know any industry that hasn’t at least pondered what impact the Trump administration might have. Fortunately for recently embattled AutoZone, Inc. (NYSE:AZO) shareholders, they may take advantage of another sector’s misfortune. With President Trump imposing a Chinese steel and aluminum tariff, domestic automakers reeled on the announcement. Our multinational economy means that “made in America” in the purest sense is no longer a reality. While political rivals, it’s no secret that Detroit enjoyed cheaper, Chinese raw materials. The kicker is that some of those international rivals are unencumbered with the tariffs. I’m not sure how domestic automakers will navigate a slowing automotive industry and rising costs. But, one sector’s misfortune is another sector’s gain. In this market, consumers are more likely to consider holding onto their vehicles longer, which naturally boosts AZO stock. Furthermore, analysts expect the auto repair industry to see slow, but steady growth, which may residually benefit AZO. Our own Dana Blankenhorn pointed out one significant headwind: rising demand for electric vehicles. This certainly concerns AZO investors. However, the impact of EVs is still much further down the road. Even if EVs dominate quicker than forecasted, this trend would reduce gasoline prices, making traditional cars attractive again. Lastly, AZO stock is down 14% YTD, and is down 22% since January 26. While the emotional money is running for the exits, the smart money could potentially make great profits here. A big component of buying smart money stocks is to separate emotions from your investing strategies. Personally, I can think of no better example than McDonald’s Corporation (NYSE:MCD). As I mentioned early last month, I’m not loving McDonald’s. Fast food, in general, doesn’t go down well with me, but McDonald’s is in a whole new dimension. Aside from the company’s addictive French fries, I can’t ever imagine walking into the golden arches, let alone eating there. That said, McDonald’s the company is an American icon, and its market performance proves it. Last year, MCD stock registered a massive 45% profit. The fast-food giant rolled out a competitive “Dollar Menu,” and it’s experimenting with delivery services. As our own Will Ashworth states, this opens the door for increased opportunities. Ashworth believes that if McDonald’s continues to expand its footprint intelligently, MCD will easily hit $200. I’m not inclined to disagree with him, as he has a rich history of getting seemingly outlandish calls correct. However, MCD just isn’t bringing home the bacon this year, down 6% from the January opener. However, this is a great opportunity to advantage other investors’ fears. Fast food is an incredibly competitive sector, and MCD is an elite player. It legitimately has the resources to reshape itself to fit current consumer demands. I can’t say the same thing about all its rivals. Perhaps the least known company among my smart money stocks to buy list, I nevertheless think Kratos Defense & Security Solutions, Inc (NASDAQ:KTOS) deserves serious consideration. Based in San Diego, California, KTOS is an exceptionally diversified defense contractor whose products perfectly match today’s challenging security environment. Unlike prior generations, size doesn’t necessarily matter in the modern defense game. While other nations’ have military forces that are numerically superior, we maintain the technological edge. After all, what good is having intimidating machinery if it’s going to break down uncontested? Despite juvenile threats from our Cold War-era foes, the U.S. is the undisputed military leader. To keep this title, though, requires heavy investments in unconventional assets: drones, unmanned ground and sea vehicles, and various electronic warfare devices. KTOS provides all of these platforms, and is constantly forwarding more innovations. In addition, KTOS provides public safety services, such as video surveillance and communications networks. We’ve already seen the devastating impact that lone-wolf terrorist attacks can render; this is an area that will receive increased broader investments. Despite many positives, KTOS stock is up only 1% for the year. Shares have also been considerably choppy. I believe the market is myopic on KTOS and how relevant it is. Keep Kratos on your radar – it could pull off surprises this year! For sadly obvious reasons, gun manufacturers have dominated headlines this year and the last. Mass shootings have dampened public sentiment towards firearms, and many are rethinking Second Amendment privileges in the modern world. Naturally, Sturm Ruger & Company Inc (NYSE:RGR) hasn’t enjoyed a brilliant start to 2018. But, like I said about McDonald’s, smart money stocks often involve separating your gut reaction from your portfolio. I’ll freely admit that RGR is not necessarily a “feel good” investment. But, we also have to understand that gun manufacturers, at the end of the day, are businesses. Hating RGR makes as much sense as hating alcoholic beverage-makers, or the restaurants that serve them. Furthermore, we should consider the political environment. Still bitter from their 2016 general election defeat, Democrats are charging full-steam for the upcoming midterm elections. Early indicators suggest that President Trump may have a contested government after it’s over. If so, gun control will definitely be on the table, which should boost RGR. Although gun sales are robust – this is America, after all! 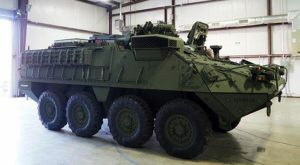 – demand has waned from the Obama administration. Without gun control fears, firearm consumers have become complacent. That could change in a hurry if Democrats win big, so keep RGR in your sights. 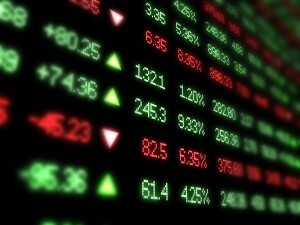 Article printed from InvestorPlace Media, https://investorplace.com/2018/04/10-smart-money-stocks-follow-selloff/.